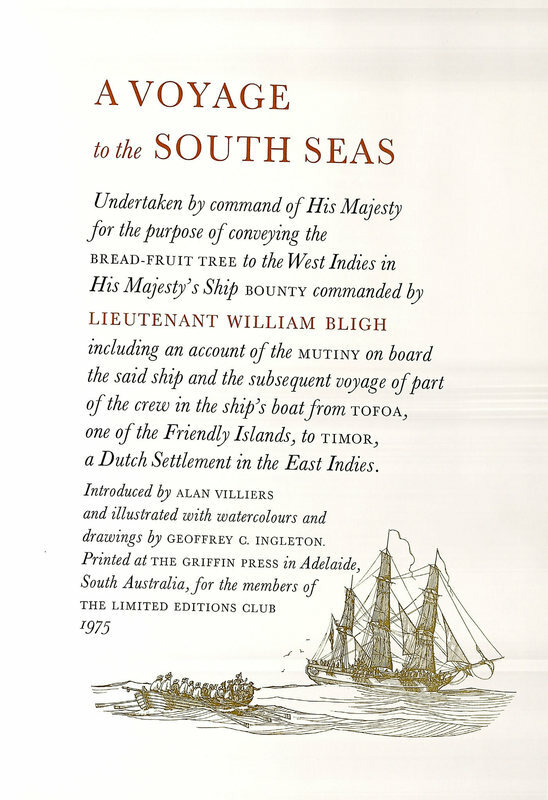 Undertaken by Command of His Majesty, for the Purpose of Conveying the Bread Fruit Tree to the West Indies in His Majesty's Ship the Bounty Commanded by Lieutenant William Bligh Including an Account of the Mutiny on Board the Said Ship and the Subsequent Voyage of Part of the Crew in the Ship's Boat from Tofoa, One of the Friendly Islands, to Timor, a Dutch Settlement in the East Indies. Introduced by Alan Villiers and Illustrated with Watercolours and Drawings by Geoffrey C. Ingleton.Adelaide: Printed at The Griffin Press...for Members of The Limited Editions Club, 1975. In keeping with the tradition of publishing The Limited Editions Club editions in locales relevant to their texts, the present work was published in Australia. Illustrator Geoffrey Chapman Ingleton (1908-1998) served in the Australian Navy until his retirement when he worked as a draftsman and an artist. His firsthand knowledge of naval architecture influenced the works he elected to illustrate, including the present title as well as texts on surveying and mapmaking. 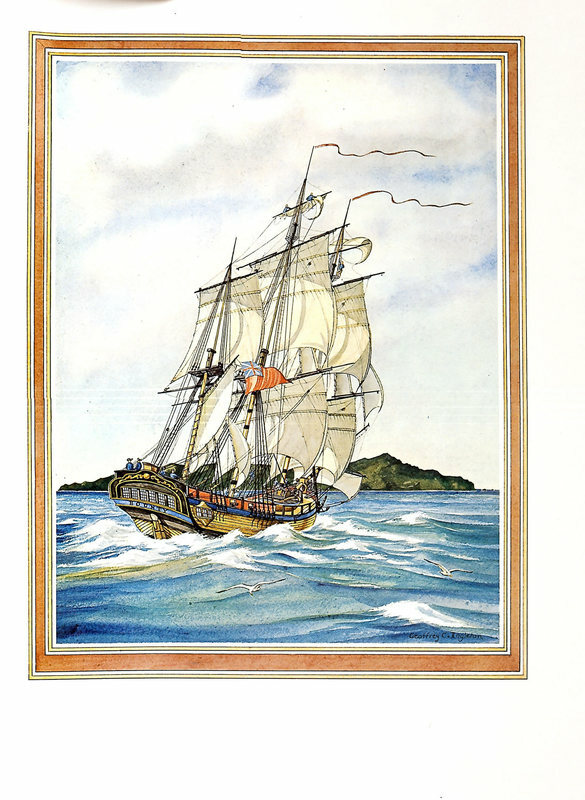 A Voyage to the South Seas was illustrated with watercolours and drawings by Geoffrey C. Ingleton.